Celebrating their 50th anniversary, Merc presents this classic piece of history in the form of a stunning navy Harrington jacket packed with character. Here in navy with authentic Mod Harrington button down flap pockets to sides, zip through fasten and classic Retro funnel neck collar with double button detail. The ribbed hem and waist add further Retro appeal. With the same smooth mod style as Merc's classic Harrington jackets, this 50th anniversary jacket has that something extra. 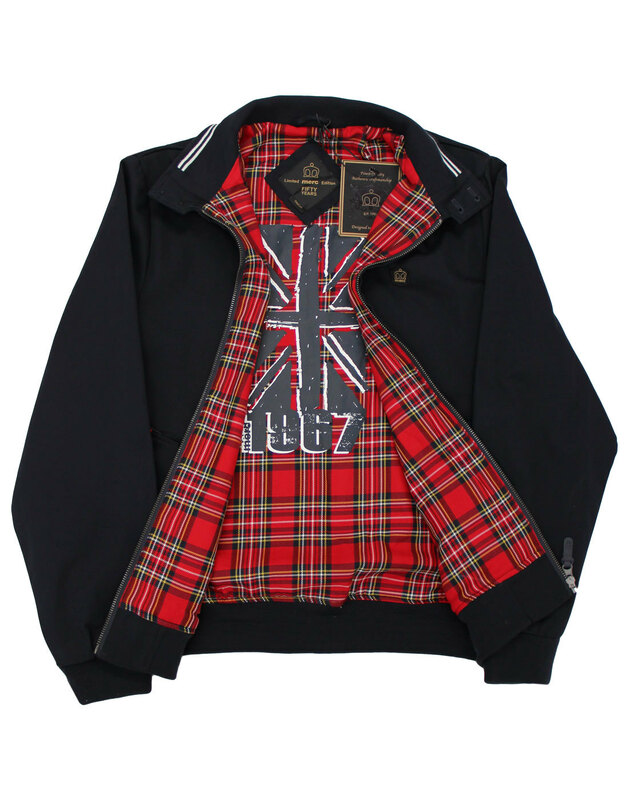 With decorative white stripes inside the collar, a striking large union jack print on the inside and red tartan trim detail on the pockets and back yoke. Established in 1967 by Javid Alavi, Merc started life in a small market stall on London's famous Carnaby Street. 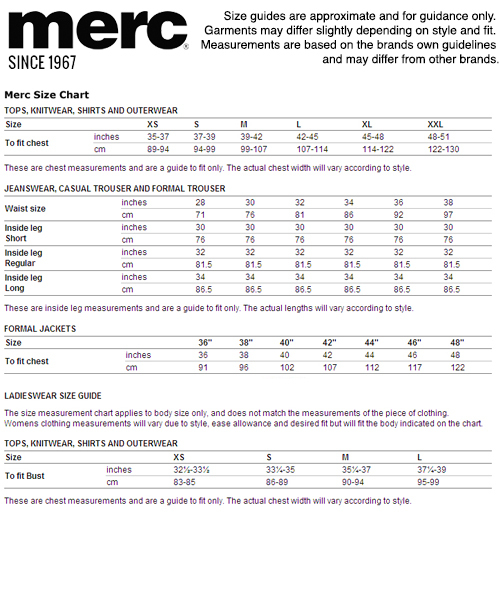 Influenced by the Mod culture, Merc soon established itself as a fashion label in it's own right. In 2017 they celebrate the 50th anniversary of this iconic British brand. Carnaby Street, the home of Merc, was the heart of the mod movement in the sixties and it was thriving. Top bands such as Madness, The Specials and Bad Manners all shopped at Merc in the 70s and 80s and the brand soon became a huge part of youth culture. 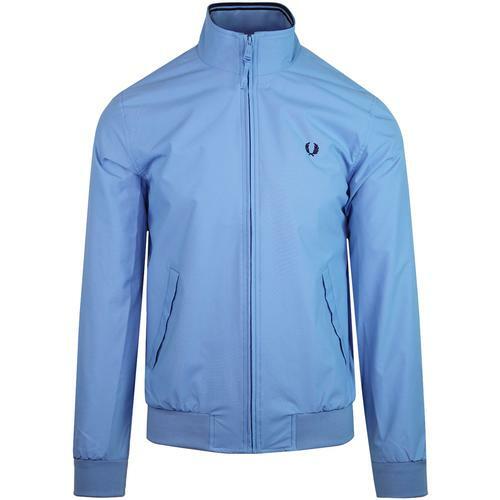 The Harrington is a classic jacket style that has been adopted by youth cultures and sub cultures from the Mods and Punks to the end Skinheads and Suede heads. The Harrington remains one of Merc's signature and most popular styles with bags of heritage, style and still remains the ultimate go to in anyone's mod and retro style wardrobe. 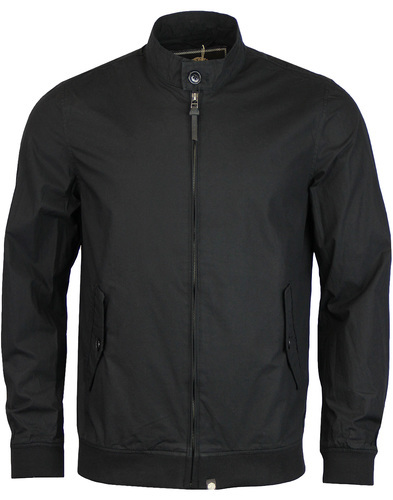 This limited edition Harrington Jacket celebrates 50 years of a true mod icon, Merc London. 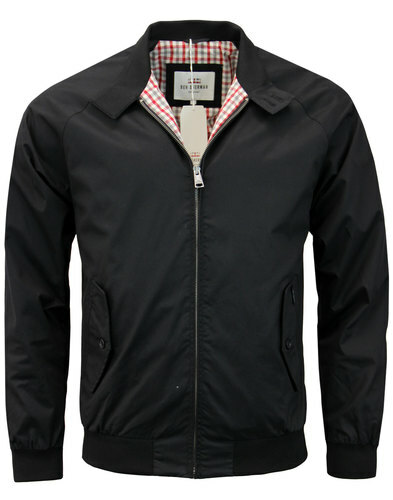 - MERC men's mod 50th Anniversary Harrington Jacket. - Classic retro tartan lining. - Merc 50th Anniversary sign offs. - Classic double button harrington collar. 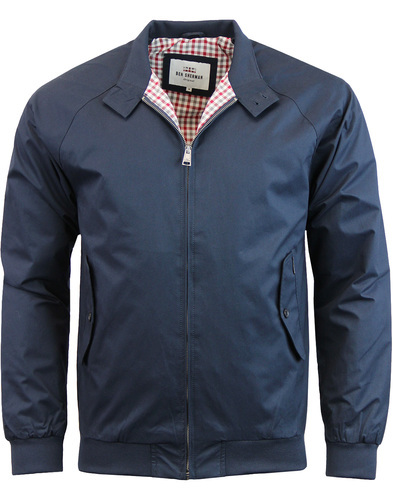 - Traditional Mod Harrington elasticated ribbed trims. Composition: 60% Cotton 40% Polyester. Lining: 100% Cotton. Care: Check label for care instructions.